Congrats on the job! The cupcakes sound delicious! Oh, how yummy! The Oreo cookie garnish is awesome. 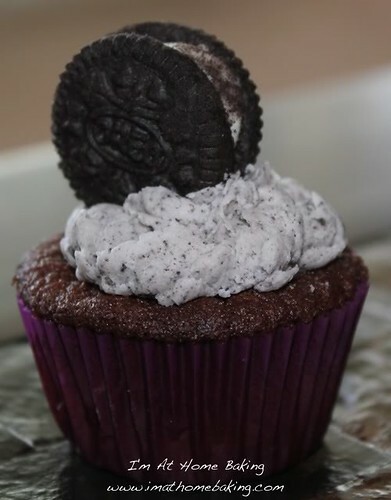 *mouth watering* I love oreo’s and I love chocolate and I love cupcakes!! These are just too cute!! So delicious looking! Love the little Oreo on top! Chocolate and oreo, I am in heaven! This looks amazing!